I'm back with another review! You all know that I am obsessed with brows. 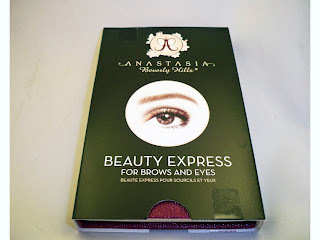 Anastasia is one of the Holy Grail brands for brow lovers and i'm a huge fan of her products. I recently had the chance to try out one of their newest kits and it came right in time for my new hair and brow color. 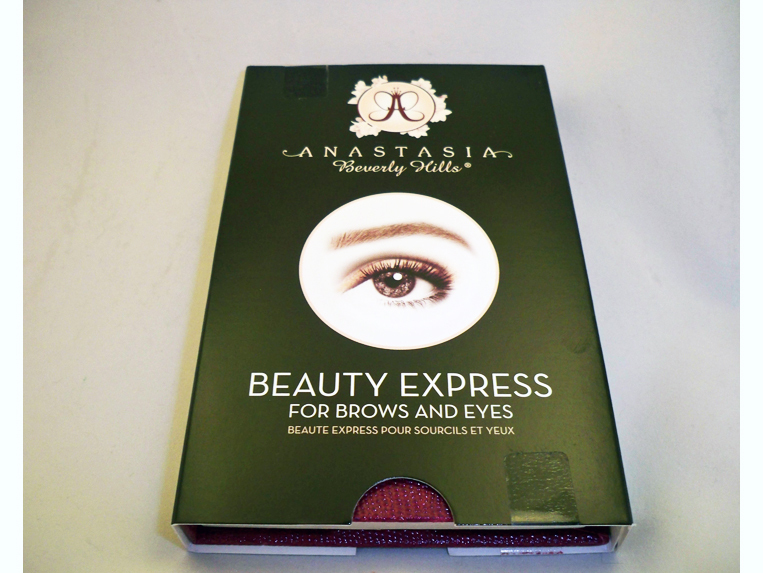 The Beauty Express is a nifty little kit which contains everything you need to fill in, shape and highlight the brows and browbone area. The set comes with a brow wax, two brow powders, a matte and shimmer browbone highlight shadow, brow stencils, and a brow brush. You even get a mirror and instructions. I have the brunette set. As usual, the packaging is super nice. The outside is a burgundy, textured packaging which seems pretty durable. The case itself is cardboard. Here's a a close up of the inside. I've always been a fan of Anastasia brow brushes. The bristles are perfectly dense so that you can build up color and the cut is thin enough to allow you precision to create hair like strokes. Honestly though, I never use the brow wax. Some people swear by it, but any brow wax in general seems to mess up my brow application and then my brush never works the same. The highlight colors are nice too, but usually I skip them. As for the brow colors - they're pigmented and smooth. They tend to be on the cooler side which isn't a bad thing, but if you want warmer toned colors it might not be for you. Now that my hair is darker, I find that the darker shade in the brow powder duo is a pretty good match. Like many Anastasia kits, you also receive eyebrow stencils. They're made of a durable, and flexible rubber so you can easily hold them up to your face. The diagonal dotted lines show you exactly where to place them and you have a variety of different styles to choose from. I honestly prefer to freehand my brows, but the stencils are not a bad idea especially if you're a beginner or if you want to play around with different shapes. This look is using the high arch. When using the stencils, you'll still need to clean up after with a q-tip and maybe a little concealer. Also, it helps to brush through with a spooly to even out application. This is a fun brow if I was going for a different look but I still prefer to free-hand it. Do I recommend this kit? Sure! It's fun to play with the stencils and the brush and powders are great. 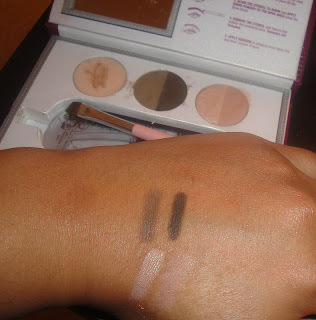 If you're a brow connoisseur, I would probably just recommend buying the powders on their own. Anastasia sells little mini brow powder duos for $22. 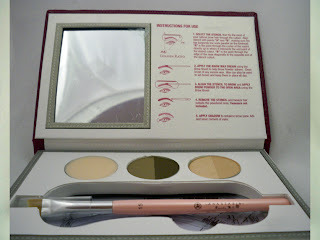 This kit retails for $39 (available in blonde or brunette) at www.anastasia.net and the line is also available at Sephora. 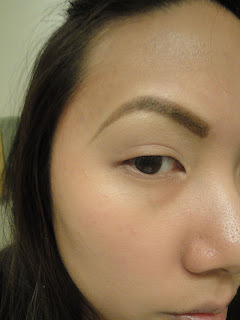 What do you guys think of brow stencils? Have you tried them before? Let me know in the comments below! Hey Ren!! 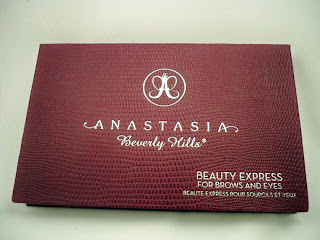 I use Anastasia brow kit as well! I bought mine about a year ago and there still plenty to go! 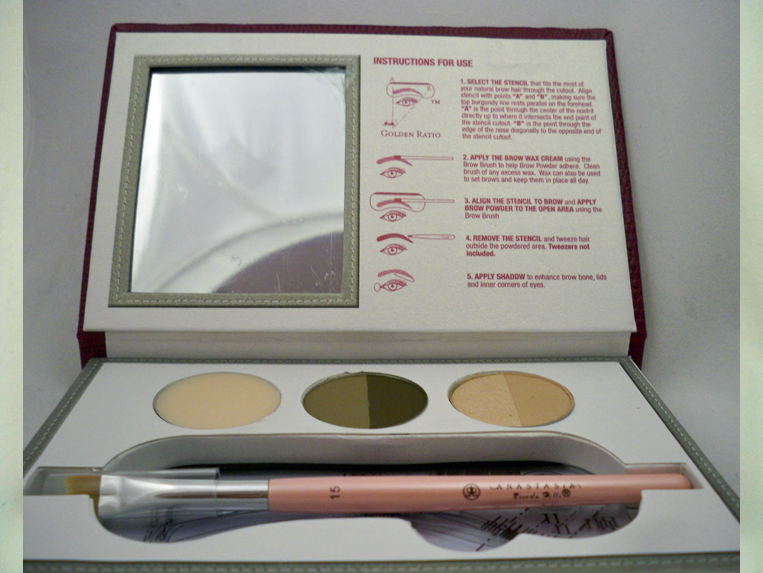 Amazing brow line, and I have the same brush as the one in the kit, but i have the spool attached on the end, very smooth! love love love it. I never tried the stencils as I just love to freehand as well. Thanks for sharing this!!! Thanks for sharing, I want to try this. 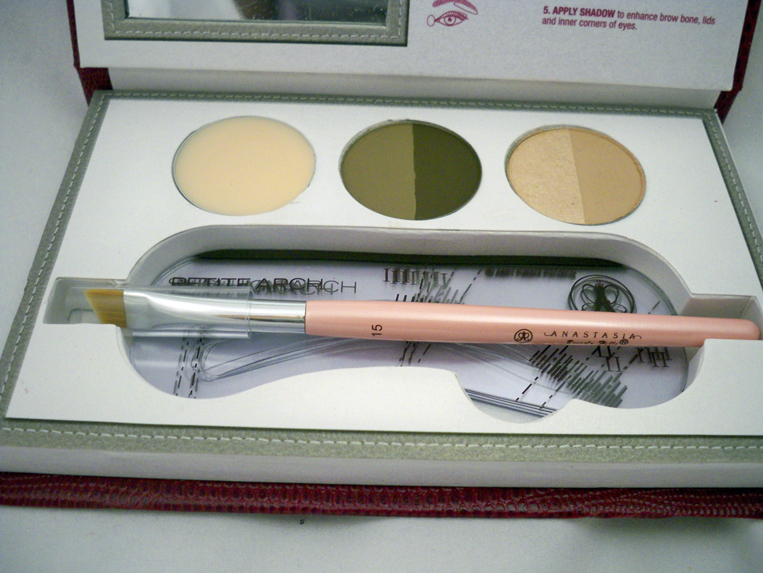 I use Senna Cosmetics Form-A-Brow Kit.